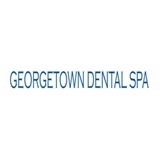 Georgetown Dental Spa (Brooklyn) - Book Appointment Online! When you find yourself in need of a Brooklyn, NY dentist to provide your checkups or complete a more in-depth procedure, consider receiving care from Georgetown Dental Spa. Our staff will always be dedicated to providing the high-quality service you can rely on.We have an attentive, approachable staff, and we always work hard to make appointment scheduling easy for our patients. Because we possess a strong desire to use the most current dental techniques, our staff regularly attends continuing education courses and participates in other learning experiences. Choose us when you require: Teeth cleaning and regular checkups Dentures or dental implants Emergency dental services If you need a dedicated, responsive Brooklyn, NY dentist, make an appointment with Georgetown Dental Spa today. Dr. Krishna is very pleasent and mild tempered which is a plus when at the dentist. I had some concerns and I'm aware of the fact that a full exam was not done. My cleaning lasts all of 15 minutes and was not done throughly. No complete oral exploration was done. And I left with the same issue that I came with, without and resolve. I will now have to get a second opinion. THE FRONT DESK PERSONNEL: is unsure where they found this person however she should not be the first person someone encounters when they enter an establishment (anywhere). Her poor attitude is a MAJOR turnoff and lack of good judgement was displayed all in a 5 minute encounter checking in. I am a medical consultant and she definitely is the type of staff then encourage revenue loss from a business. Just gross for lack of a better word. She had words with me and with the patient after me as well, seems to be her "thing" to be obnoxious to the very same ppl that drive the business. Whoever the loud guy is that walked into the. Ray room while I was having my pictures taken, needs a course in office etiquette.